How about learning how to make a sock puppet dragon at Activity Village? 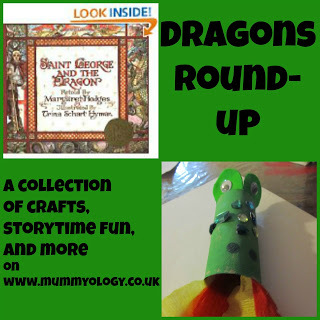 Royal Baloo shares some wonderful felt knight and dragon felt pieces! Let your child design his or her very own dragon egg at Education.com! How to make a dragon and other Chinese New Year Crafts The easiest last-minute Mother’s Day craft ever! A Quick and Easy Shamrock Craft Preschool Math: Shape match-up! Free May Kids’ Activities Calendar! Super fast, super cute Easter craft Paper egg ornaments for Easter 5 Hands-On Ways to Help Your Child Learn their Alphabet Letters! Oooh I must remember this for next year – great round up.